There have been several movies made about internet predators preying on young girls, most of them having there own unique angle. I reviewed the Ellen Page film "Hard Candy" a few years ago, in which she turns the tables on the guy. "Trust" takes another different angle in looking at how an attack affects the dynamics of a family. Directed by David Schwimmer and starring Clive Own and Catherine Keener as the parents of Annie played remarkably by Liana Liberato. Liana, in her first major film role, is not the usual twenty-something playing a fourteen-year-old, but an actual teenager playing the emotionally complex role of a girl dealing with the aftermath of being raped. Set in an upper middle-class suburb of Chicago. Annie starts a chat room relationship with a guy named "Charlie" a supposedly 16-year-old guy from California, who quickly becomes 20, then 25. Annie is angered by his lies but still continues to chat with him. When Annie's parents drive her brother to college, she meets up with Charlie at the local mall. She is shocked and embarrassed to find out Charlie is at least 35, but for some reason, Annie doesn't run away screaming. They get ice cream together and she eventually agrees to get to a hotel room with him, where she is raped. This all happens within the first 30 minutes of the 106 minute film. Annie tells her best friend what happens who then tells school officials. The news spreads like wildfire and soon enough everybody knows. She is taken to a hospital and examined as well as interviewed by police. Recognizing that we live in such a youth obsessed culture the filmmakers try to find someone or something to blame for what happens to Annie but find no easy answers. The major theme of the film is that you can only do some much to protect the people you love and really bad things do happen, people will fall down, but its how you get up and the support of other people that can you through it. Clive Owen plays her father Michael and in a bit of obvious irony is an ad exec who's company exploits teen sexuality to sell clothing. Most of the second half of the film deals with Michael's misplaced anger and frustration at a man who seemingly doesn't exist. Charlie is an old pro having done this to at least three other young girls. The FBI works very hard and diligently with what evidence they are given, but with so many similar cases backlogged its hard to make any progress. 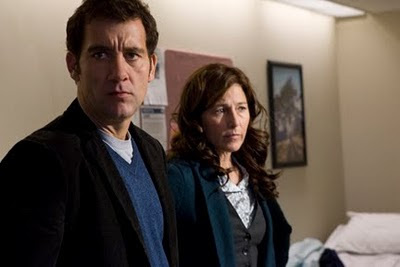 The mother played by Catherine Keener is seriously underused, and it's a shame since she is such a great actress. Liana Liberato did win the best actress award from the Chicago International film festival and is the real star of the movie. The film overall feels like a well produced movie of the week or a Lifetime style movie. There are scenes of extreme melodrama and predictability but the film as a whole plays pretty well.